I honestly do not understand why gyms or fitness brands feel the need to attack women. It’s a subject that I’ve covered plenty of times, and I’m not really understanding where the disconnect for brands is because with social media, you’re likely to get dragged if you do something wrong. 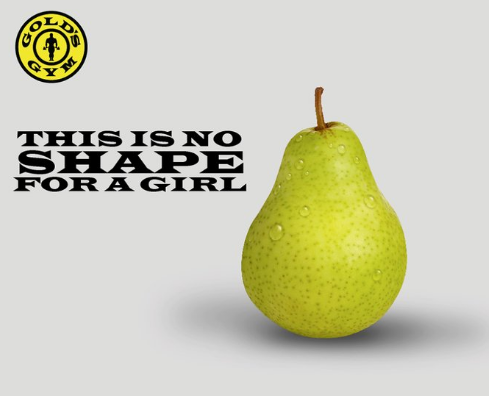 And that’s exactly what happened when Gold’s Gym shared on Facebook and Twitter the below image of a pear with the words “This is no shape for a girl.” Really? Are we still doing this in 2016? 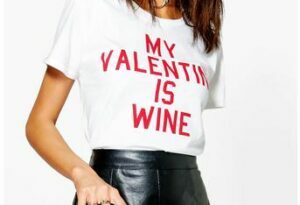 A lot of critics thought it was a harmless marketing mistake but I don’t think it’s right for things like this to be slid under the rug because it affects women’s experiences and opinions. First off, the ad is extremely degrading towards women and only women (no mention of a man looking a certain kind of way), and comparing a woman’s body to a fruit shape? Doesn’t really get lower than that. And people wonder why it’s so hard to connect wellness and fitness with the curve community–curve women don’t feel like the gym is a safe place to explore. You no longer know if you’re going to go to the gym and end up naked on a cruel woman’s Snapchat or if you’re going to be bombarded with offensive ads. Not okay Gold’s Gym–not okay in the slightest bit.